The ever faithful bedside table, most everyone has one. Wether you live in a tiny uptown apartment or in a grand southern plantation home, there is still the struggle between style and function. Our master bedroom has very contrasting colors. 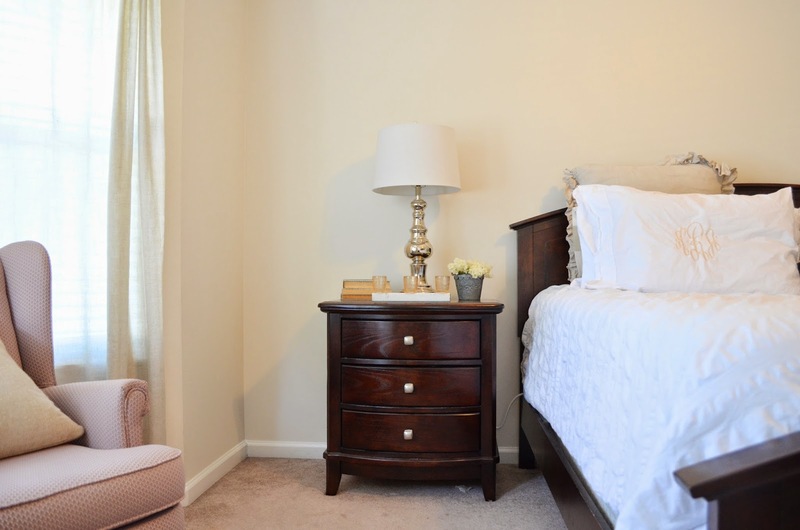 The furniture is all dark wood and the bedding is white with some linen, so I wanted to nightstand decor to add a little touch of color while blending with the style of the rest of the room. 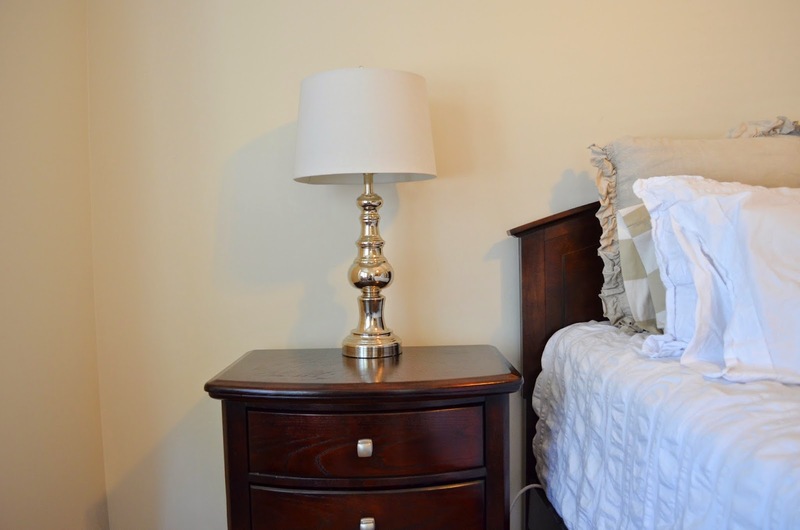 The first step to a great bedside table is the lamp. I always believe that any good bedside table should have a lamp, for those late night snacks, bedtime reads, and just to add light to the room. You want to make sure that the lamp isn't too big or small, too short or tall. I recommend that you try out a few different lamps to make sure it is the correct size for you table. I went though 3 or 4 different lamps before finding these. Next you want to layer in the accessories, if you do not have much storage you want to use pieces that create storage while still being beautiful. Since our bedside tables have plenty of storage, I decided to use more decorative pieces. 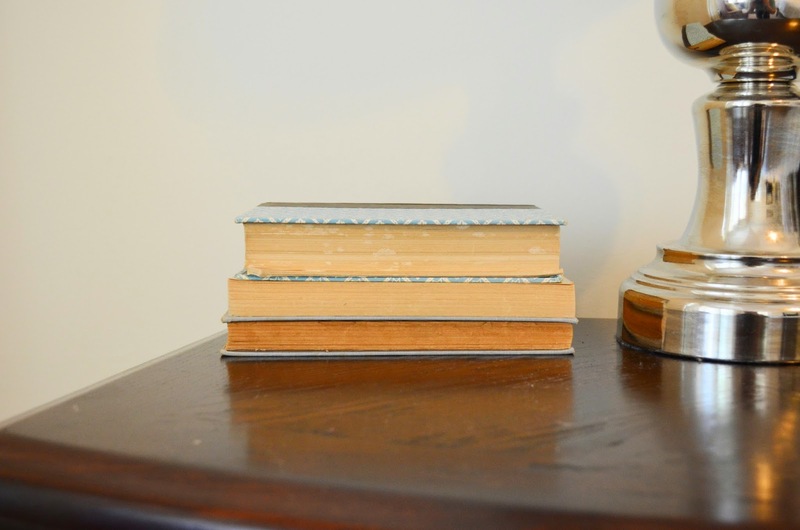 First, some good old book that have a light blue cover that add a touch of color to the room. 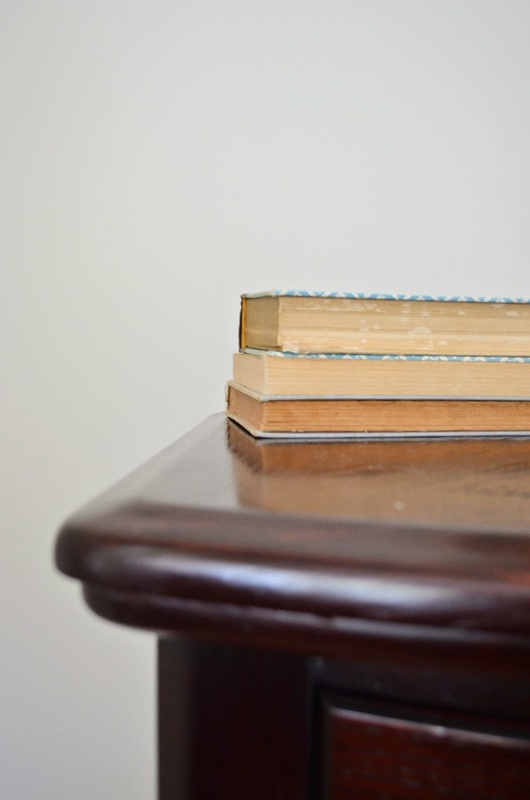 I love to use old books, you can find them at any thrift or antique store. If you don't like the cover, you can always remove it or paint it! When I get old books, I always wonder what the story behind them is. Who first purchased this book and how many times did they read it. Are there pages missing, where are they? I wish these pages could talk and tell me their story! Originally, there were a few shiny sliver items on the table, but they competed too much with the lamp so I took them off and started over. In its place, I added a small galvanized bucket with some cream flowers. 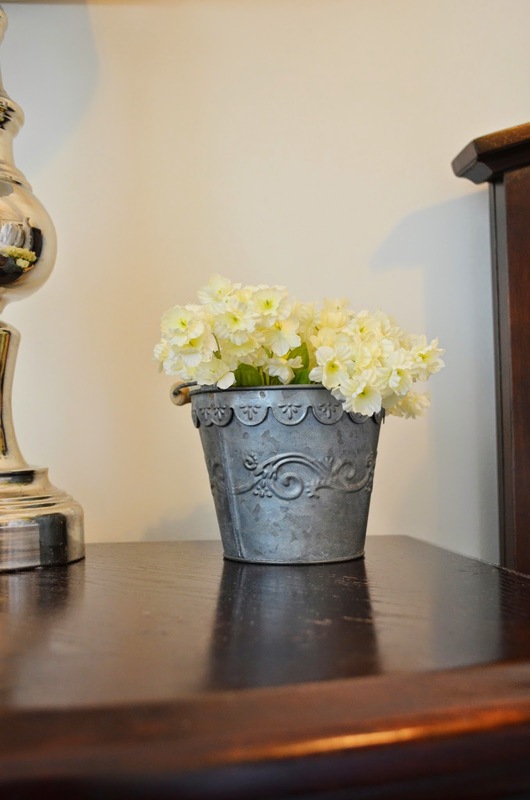 Adding a galvanized bucket or tray can give a room a more casual look. KJ and I both like a more casual feel to our home. 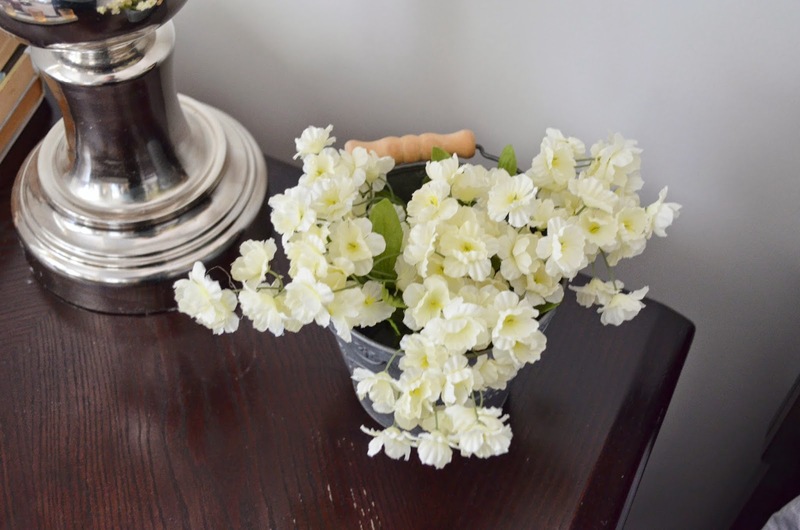 Not only do we want to feel comfortable in our own home, but we also want our guests to feel at home too! 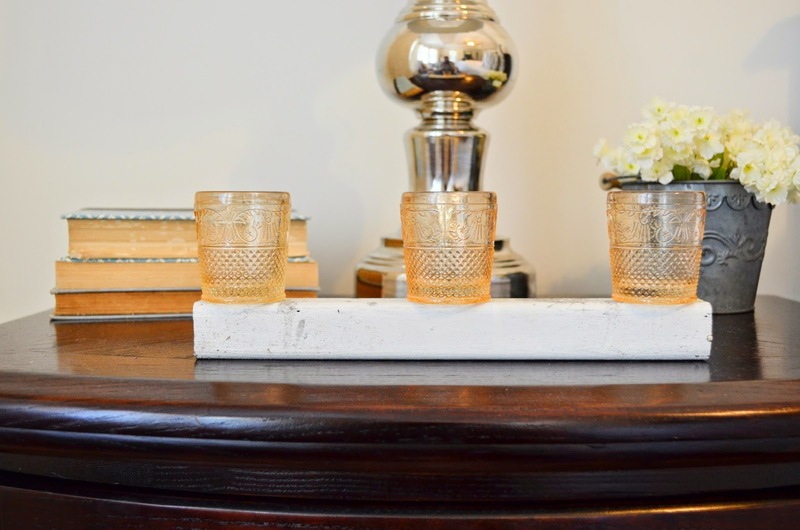 Then to finish it off, a few pretty votive holders. This white stand adds a little height and deminsion to the front. Having different heights and placements adds more visual interest and makes the decor stand out. Don't be afraid to mix it up in your bedroom! This room should be your retreat, the place that you come to unwind and recharge at the end of the day. If your style is more causal or eclectic, or formal, then let that shine through in your bedroom, it is the last room you will see at night, and the first one you will see when you wake up! What is the favorite part or your bedroom? I would love to hear!